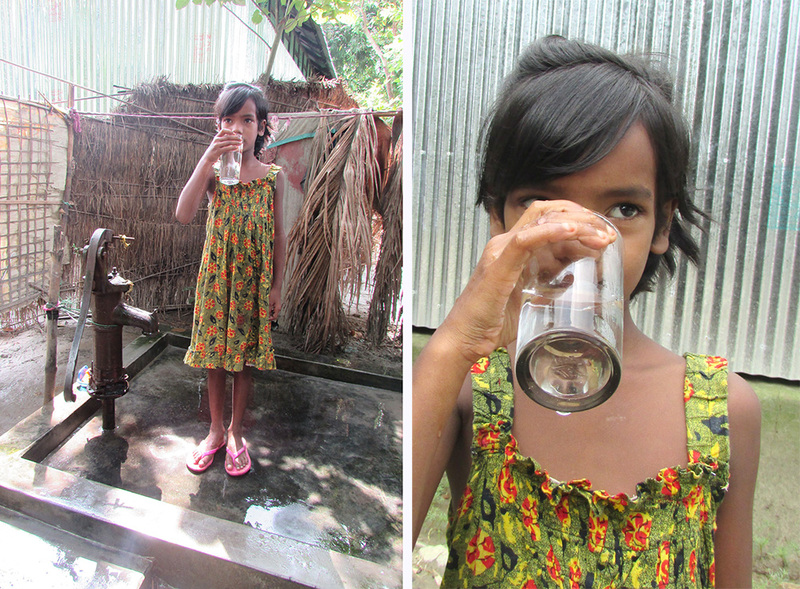 In the village of Niler Kutti, located in Chor Borobila, Bangladesh, nine-year-old Tisa poses for a picture of her drinking clean water from the new tube-well in her home. Only a few years ago, clean drinking water seemed entirely out of reach for Tisa and her family and the majority of their community. 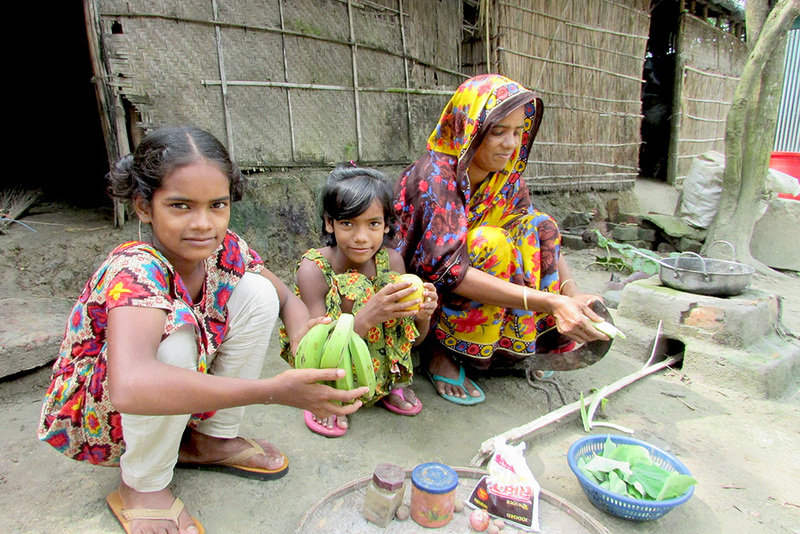 Moriom Bibi Tisa, at nine-years-old, is the youngest of Abdul Mannan and Fatema Khatun’s five daughters. Before her family became involved with Food for the Hungry (FH) in 2012, the family was struggling financially, and they were often sick. Abdul worked at a fish food factory to support the family, but there was not enough money for the family to have access to the medical attention they needed. When Food for the Hungry (FH) staff began their work in Niler Kutti, they agreed with community leaders that clean water and hygienic toilets ought to be a priority. FH set up a committee to increase awareness about the importance of clean water, hygienic toilets, personal cleanliness, and hand-washing. It was important to stress the vital connection between clean water and health, and FH's local staff urged group members to install quality tube-wells and toilets, paved with concrete and bricks instead of mud—a cheaper but less effective option. 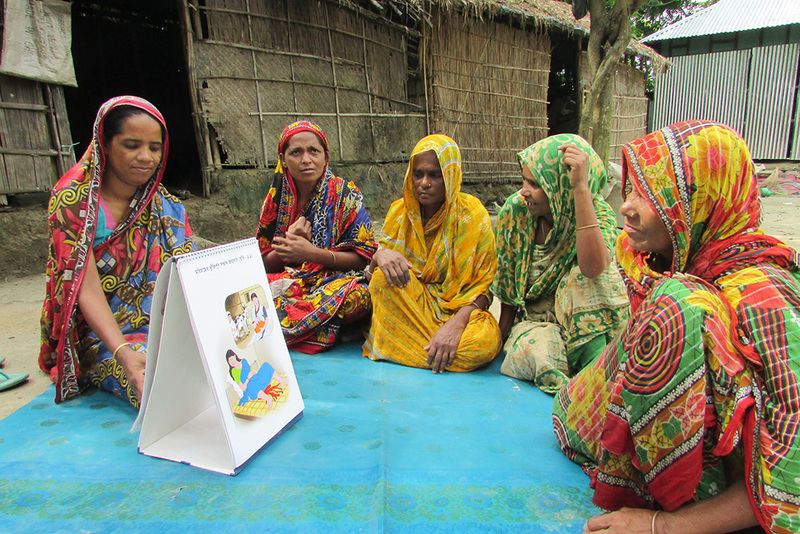 In June 2012, Tisa’s mother Fatema joined Meghna, a learning group initiated by FH, where a "leader mother" learns from FH staff, then shares with her neighbours. She learned about hygiene and health and how the two are connected; she learned about intestinal parasites, how to avoid them in the future, and how the medication works. FH provided de-worming tablets for the family. The classes also covered the benefits of saving money and participating in a Savings and Loan Group. 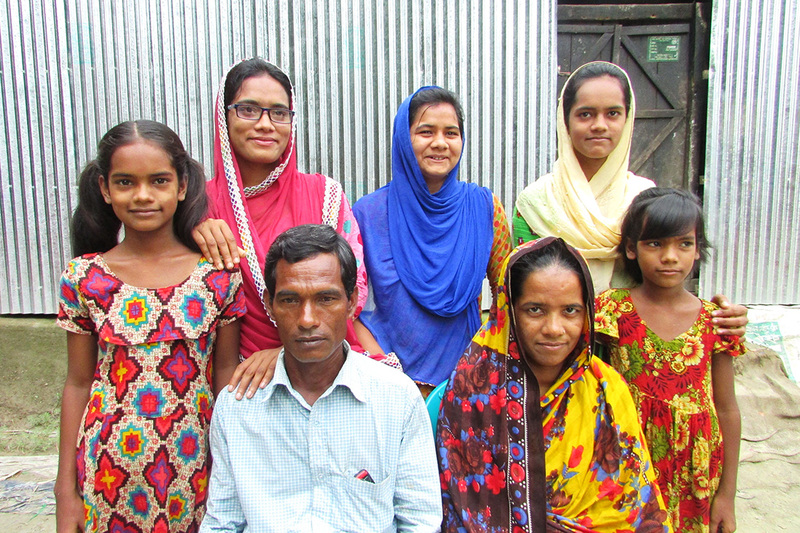 Fatema began making changes in her personal life and family almost immediately. She received sewing training through FH and started earning money making clothes, and she began saving 10 Taka every week and investing it in the Savings and Loan Group. She was careful to prepare food in a clean environment and encouraged her family to wash their hands thoroughly after using the toilet and before eating. “I am proud of the family’s transformation,” says FH field staff member Mosharof Hossen; he is encouraged because the family was so quick to take the training to heart and because they “identified problems that were putting them at risk” and now “Tisa and her sisters are healthy.” Fatema took out an interest-free loan from her savings and loan group and, with additional help from FH, used the money to have a quality hygienic toilet and tube-well installed in her home. Fatema describes the transformation in her life with gratitude to FH and with joy for herself and her family. Tisa was registered as a sponsored child in May 2013 and began benefiting from the sponsorship programs. Children in the program are educated on hygiene and health and receive an annual health check-up and any medication recommended by the physician. FH also puts on several events, including an annual Hand-Washing Day for all of the children in the community as well as Child Sponsorship Day and a pre-Christmas celebration.